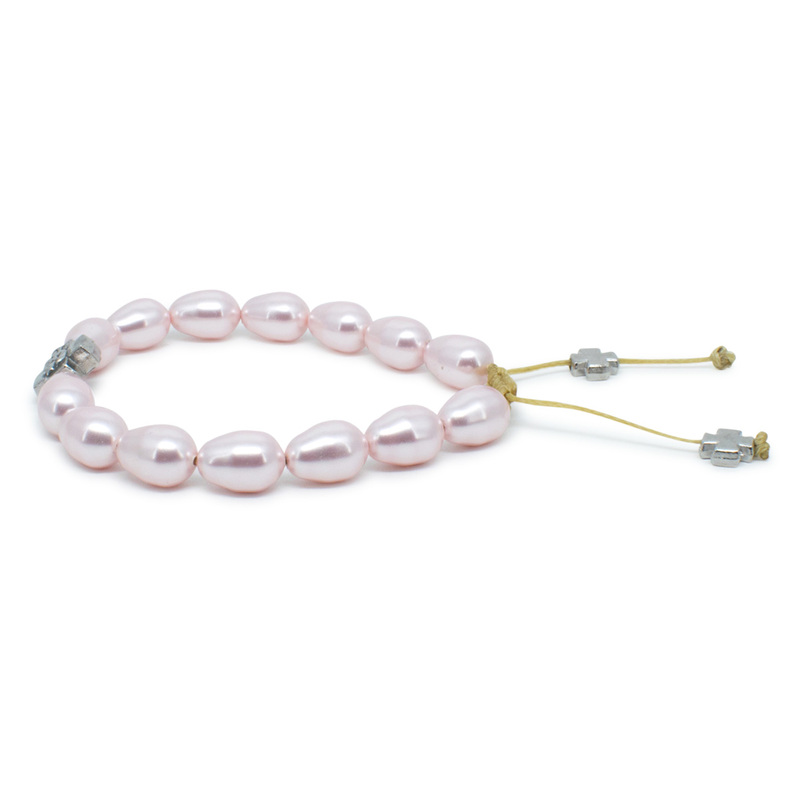 Striking pink Swarovski teardrop pearl Orthodox bracelet, consisting of 14 real teardrop Swarovski pearl crystals. 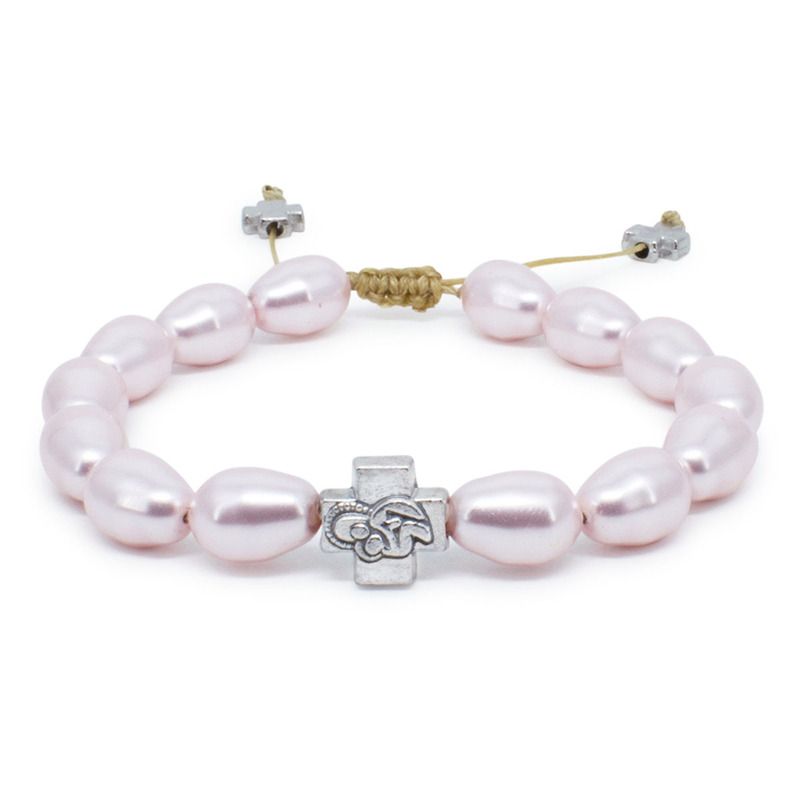 This bracelet also features a metal cross bead with the depiction of the Virgin Mary. 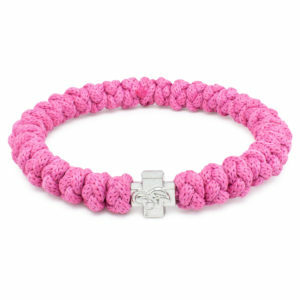 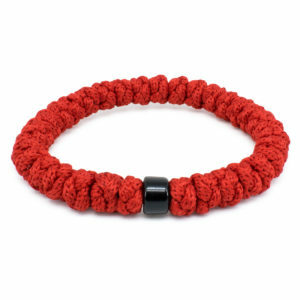 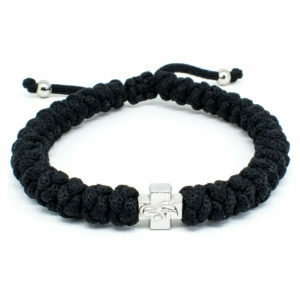 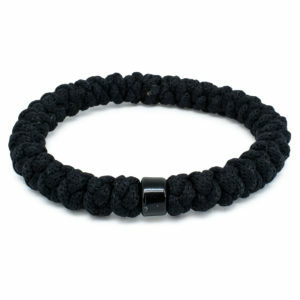 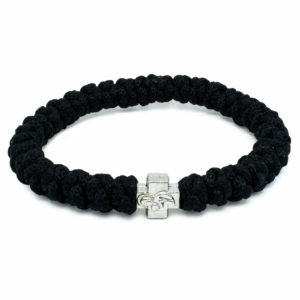 This bracelet fits any size, by pulling on the 2 ropes the size can be adjusted..